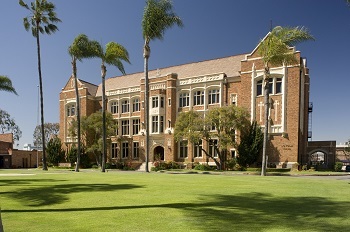 Loyola High School features long-standing traditions that play an important role in student life on campus. Each department of the Loyola faculty has its own unique customs and celebrations that they carry out during the Christmas season. One of the most active departments in the Christmas celebrations is the counseling department. In union with the rest of the teaching faculty, the counselors and teachers compete in a door decoration contest. The winner of the door decorating contest is determined by the administration based on who created the most festive door. Apart from friendly faculty competitions, the faculty encourages the Loyola population to give donations. The prize for having the most festive door is a gift card bought by the teachers and counselors who participated. “This sort of friendly competition is a way for the staff and teachers to bond with each other in a way that is somewhat unique to the Christmas season,” said Reno Valvardi. Some teachers and faculty go beyond their door for decorations and festivities. Some faculty members add extra Christmas decorations to enjoy the holiday festivities. Another tradition at Loyola is the “Shoes for Santa” shoe drive initiative coordinated by the security staff. The security team, in partnership with LAPD, has organized this campaign and work to bring new, clean shoes to underprivileged children in the Greater Los Angeles area. This institution was recently established and will become a permanent tradition at Loyola. Apart from holiday festivities, Loyola faculty encourages spiritual Christmas traditions. During the Advent season, Loyola’s population reflects on their day in the Examen prayer. The student body and faculty administration have their own exclusive holiday customs celebrated annually. One custom is the yearly Loyola Winter Formal. This dance is coordinated by the Student Body in cooperation with the Faculty Administration. For many staff members, Christmas has a much deeper meaning than simply celebrating and exchanging gifts. To them, Christmas is a time to be positive and loving toward each other.